Open water swimming off-season training is shrouded in mystery. There isn’t the same volume of information or advice available as there is for road cycling or running and often the only way to train for it during the winter months is to get in the pool. However, you may have begun the open water lifestyle to avoid that entirely, it is a tough life if the now frigid waters aren’t beckoning you in the same way as they did in July. By the way, we have many phenolic lockers for your clothes when you are swimming. Obviously, this post won’t focus on the doom and gloom, here are a few steps you can take to improve your performance whilst avoiding the boredom and crowds. Firstly, calling your session ‘training’ isn’t a bad thing. It can be motivational to have a plan and specific targets especially when the surroundings themselves aren’t compelling you to move forward. Open water is about challenging yourself, it’s the draw. Changing what motivates you will help dramatically. Set yourself a few technique changes and work on making them second nature. Yes you are in a pool but visualise the result of your hard work and escape the monotony. A few tweaks to your technique could make huge differences to your stroke efficiency and save you valuable energy! Talk to a coach. You may feel as slippery as an eel, a second opinion can build on that. If your technique is flawed, all that “practice” will do is reinforce something that ultimately is going to prevent progress and performance. Some swim coaches are convinced that 70% of successful swimming depends on proper body positioning in the water, and 30% depends upon the power component of hand and leg movement. There are heaps of quotes and impressive statistics out there; I think they are more representative than cold hard fact, 82.6% of statistics are made up on the spot anyway. What is an unavoidable truth though is that when you are pulling yourself through a dense soup- efficiency is key. Using the pool to perfect stroke and body position will make you swim better for longer. Removing the pool completely, gym based work doesn’t have to mean lifting weights until your neck vanishes and your head and shoulders become a single unit. 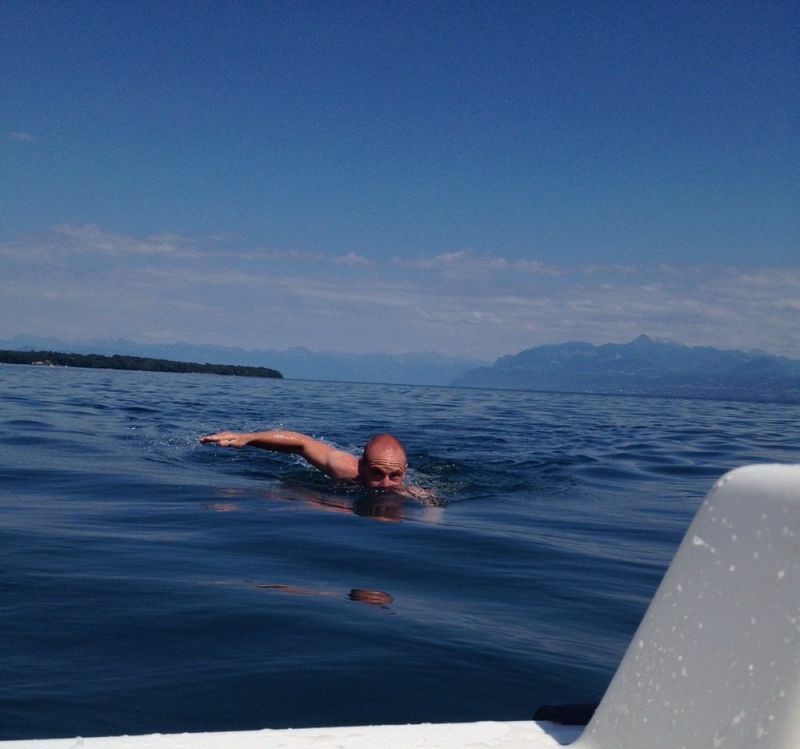 Focusing on flexibility, endurance and core stability will help you massively when in the middle of a lake somewhere. Gym work improves control and self-awareness far more so than a two-hour swim session will give you. Keeping it functional will be critical, an instructor or coach will help with this. Think about the biomechanics of swimming, break down the movements and apply them. Starting light, build up slowly with an emphasis on form. You won’t become Arny but you might swim faster! Destroy/ rebuild. The off-season is about assessment for all sports. It’s possible to become a better swimmer even with the reduced time in the water providing you can stomach constructive criticism and trying something new! Shane is an experience triathlete and currently works at Cycle Logic in Helston. He is a qualified Swim Coach and soon to be a qualified physiotherapist as well.